No doubting that Microsoft added more versatility to the taskbar in Windows 7, but options built-in for pinning items to the taskbar for quick access are very limited in their range, generally restricted to applications. 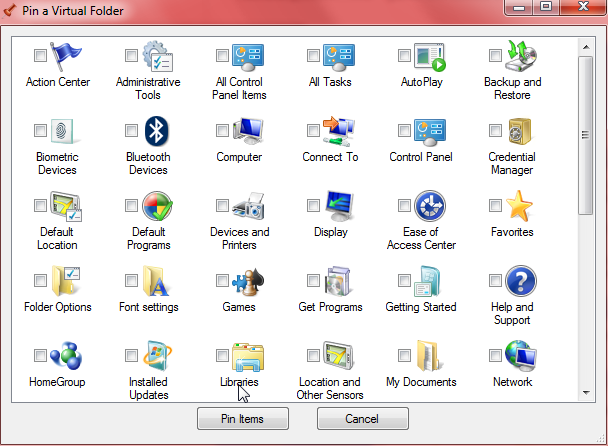 There are workarounds available which allow users to pin personal folders, etc. 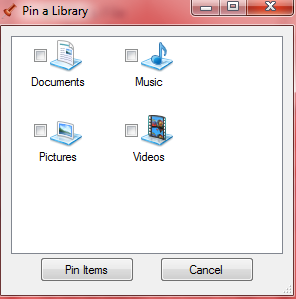 to the taskbar as separate items but these often include a somewhat convoluted process, see this article… How To: Pin personal folders to the taskbar in Win 7. Enter TaskbarPinner from WinAero, a great little tool which can be utilized to quickly and easily pin just about anything to the taskbar – it’s portable (no installation required), very easy to use, supports both Windows 7 and Windows 8, and it’s free! TaskbarPinner is a small 206KB zip download extracting to just 359KB. The download includes separate executables for Windows 7 and Windows 8 – the two versions are clearly distinguished but make sure to use the correct one for your operating system. 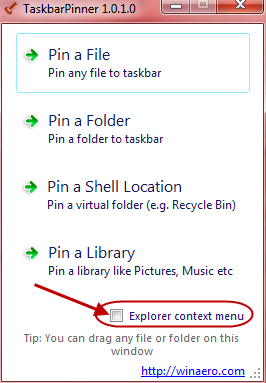 to pin any folders or files via command line: taskbarpinner.exe "path\to\desired\location"
What a terrific combination of simplicity and usefulness in such a small package! 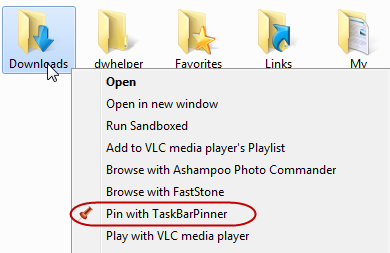 Read more about TaskbarPinner on the HOME PAGE (including download link).